By Mortarman Deke, December 21, 2014 in T-72: Balkans on Fire! 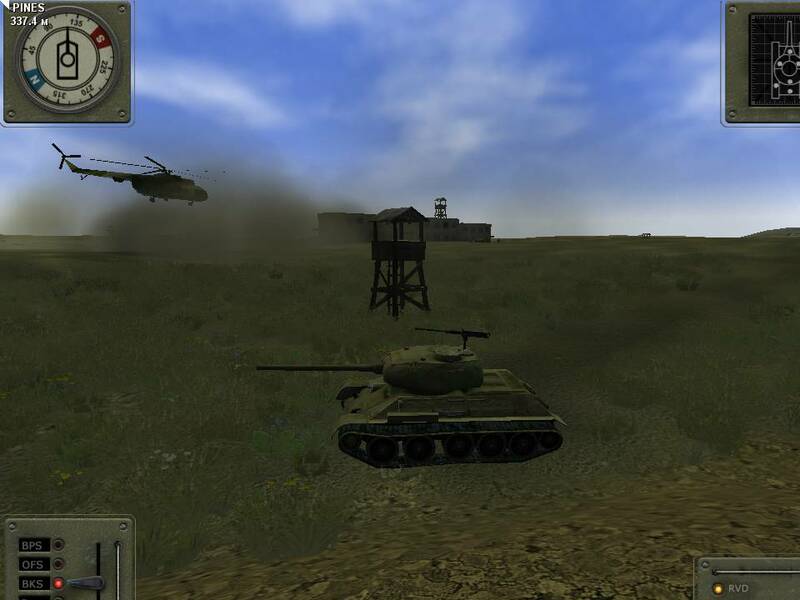 This is another mission for the T-34/85 tank, set in the training mission map environment. I had wanted to build out another mission for the T-34 tank, and with a little inspiration from the movie - The Siege of Firebase Gloria, I centered the mission around the small area surrounded by tank trenches in the northwest quarter of the training mission map. In this mission, your T-34/85 tank and an RPG heavy infantry squad are attached to a battery of 5 Sprut-B 125mm anti-tank guns currently located in a fortified firebase. 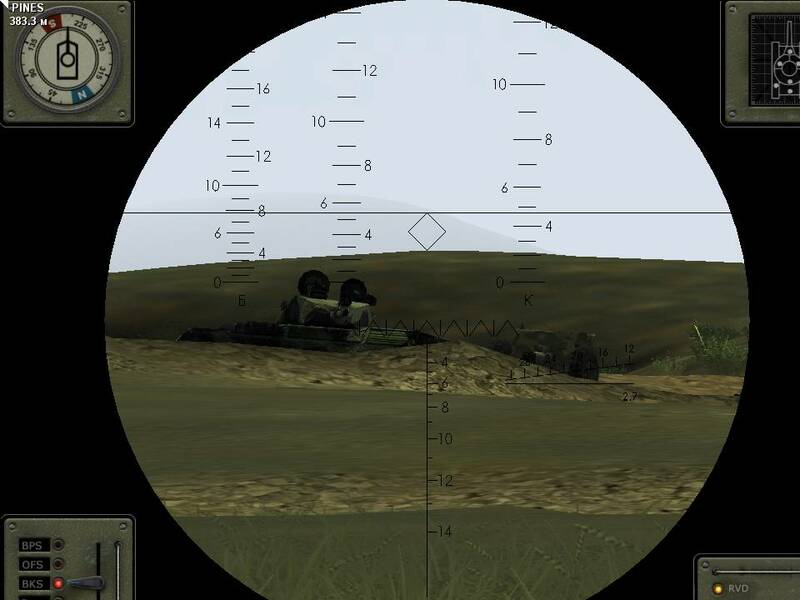 An additional RPG heavy infantry squad will be airlifted to the firebase and dropped off by an allied Mi-8 helicopter after the fighting starts. The helicopter will then proceed to search for and attack enemy ground forces with its unguided rockets. Enemy forces assaulting the firebase consist of three separate groups. One section is 2 T-55A's, and an SU-100, another is 2 Leopard 1A4's, an SU-100, and an infantry squad, and the third is a platoon of M-50 SuperShermans. The burms along the edges of the tank ditches make excellent cover for your tank, so be sure to exploit that. As the different sections attack the firebase, be open to moving your T-34 to more advantageous positions to make engagement easier, and also to increase your protection from enemy fire. 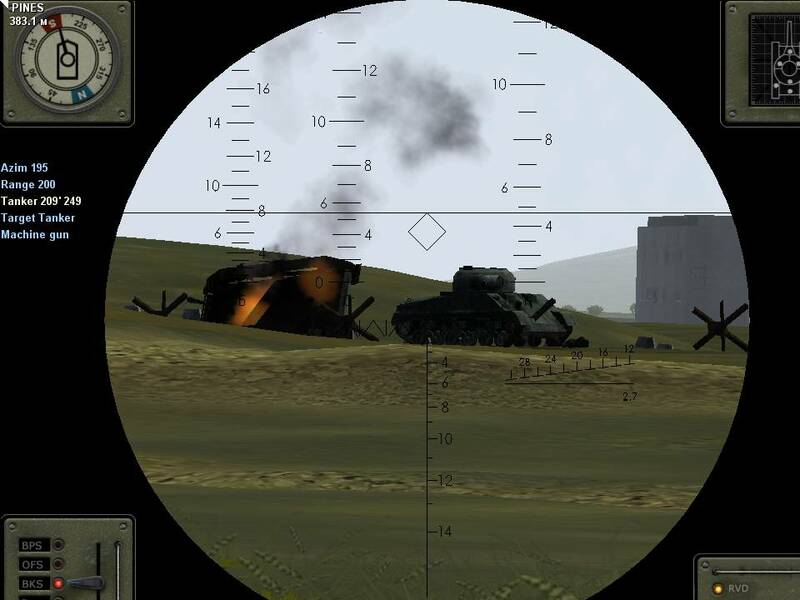 Allied RPG gunners and the Sprut-B's will be providing heavy resistance against the advancing enemy forces, which makes for an awesome show of tank busting rockets and artillery while you are in the thick of defending the firebase. Keep in mind though, those units are in the open, which means the infantry and artillery will also need your tank to be staying active with its 85mm tank gun to suppress and draw enemy firepower from and for them. 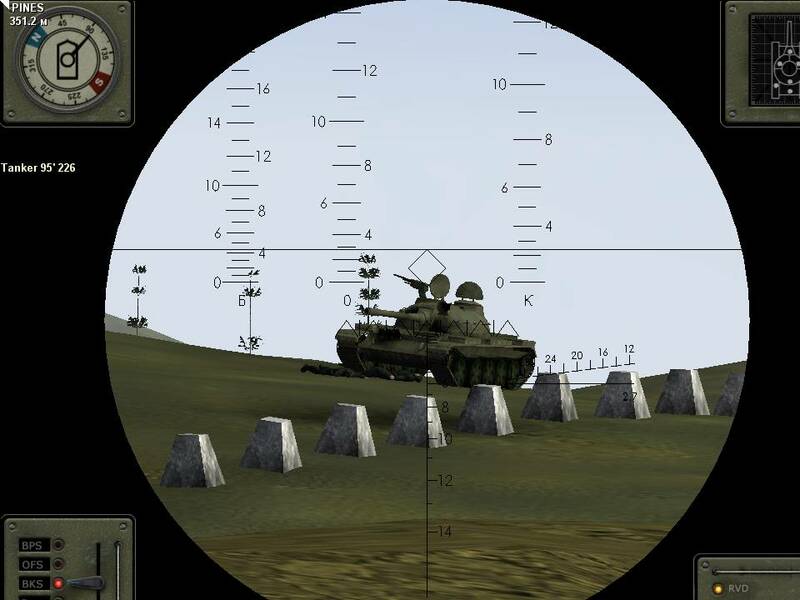 The 85mm BKS (HEAT) round is the most effective projectile in this mission, especially against the T-55A's and Leopard's. Your T-34/85 tank has been modernized in this mission with a fully stabilized 85mm tank gun, and an improved internal fire fighting system. The stabilizer will already be ON when you start your tank at the beginning of the mission. This one was a lot of fun to produce and test. Enjoy! Just starting to learn this sim, is there no commander slits to look out if i try to button up? It seems as if there is only 2 views..open turret and binoculars..is this correct? So how do i know if i am not exposed as i drive along as the commander? Hi Bert66, If your hatches are open, (Ctrl H), the sim will open your commander and crew up to being knocked out by collateral damage from OFS (HE Fragmentation), glancing BKS (HEAT) shots, and lucky machine gun fire. If your hatches are closed, your commander and crew are considered protected - even when the commander's view is switched to binoculars. Having the hatches open can make your tank a bit more survivable when hit by a BKS (HEAT) projectile, but it also makes your tank's silhouette taller - in effect creating a bit bigger target for enemy gunners. 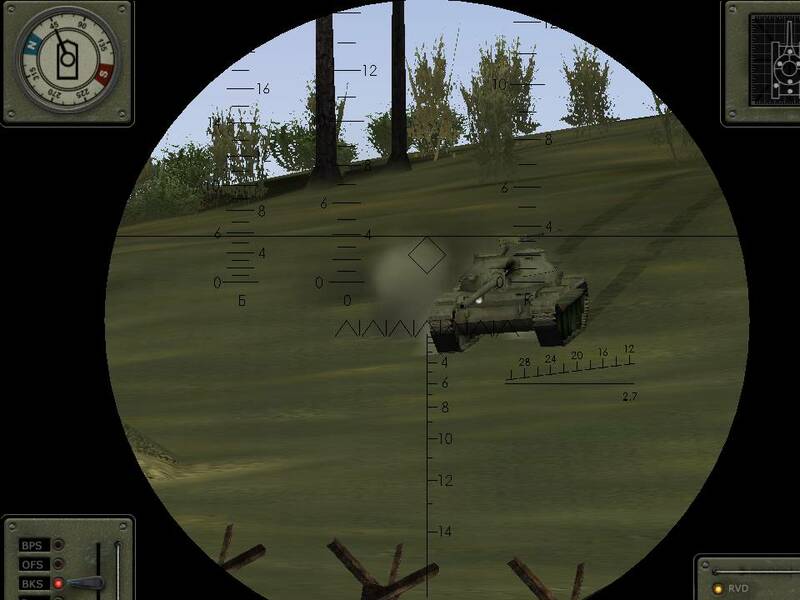 I have seen an AI tank crew get knocked out after a guided missile fired from the player's T-72 tank hit an open hatch of the enemy tank. Personally, I tend to keep my tank hatches closed most of the time. Ok next question, how do i move units on the map? They do not respond to any actions i give them, in the briefing it says i have stuff under my command, playing the Revenge scenario. On the map accessed by tapping the F11 key, the second row of buttons from the top on the button control panel to right of the map are used to give movement commands. the leftmost of the three is the button that commands the units under your command to move. Click that button, then move the mouse cursor to the point on the map that you want your units to move and left click that spot on the map several times, then return to game play. The command does not always get transmitted with just one mouse click. Do this and the units should move to that location once you return to game play. If there is a point where you want your units to stop on the way to your point, there is a STOP button at the far lower right on the button control panel next to the map on screen when clicked it will stop your units. Regarding other websites, there was a dated one that I had found, but it had actually deep linked to my updates that I uploaded to the Battlefront.com Repository. 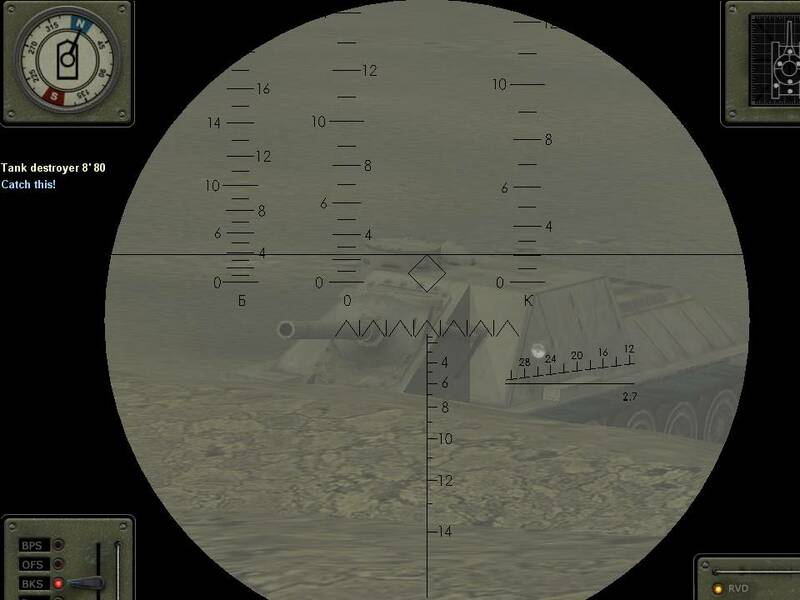 The sites that I know of for sure are the T-72 BOF page in Battlefront.com, and the Battlefront.com Repository. Hope that helps. Mortarman Deke,Thanks again for your GREAT work! Played a few of your missions Mortarman Deke and they are most entertaining, have you any more on the cards?